At the end of the first 5 years from the Great East Japan Earthquake, we lifted the glasses with yearning toward the victims of the disaster. 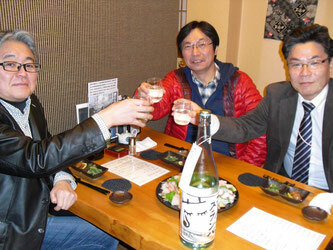 'Golden Suranba', the sake especially brewed for this lifting was served at 'Fujimura' ,the sake place in Fukushima. Drinking and reminiscing about the past.